Get your crunch on with ITG's Crunchy Cheese Bites! 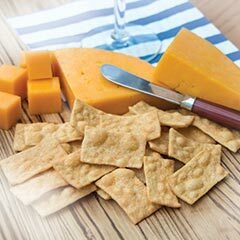 With a light cheese flavor and big crunch factor, these Limited bites are just the snack you're looking for. Never miss those plain old potato chips and crackers again!